I started using Netflix when it only offered DVDs. When it first began producing original content, the shows seemed like a joke. However, Netflix has significantly improved since those days. While it’s still the leader in streaming original content, many of the best Netflix alternatives are also now worth watching. While some streaming content is free, the best Netflix alternatives come at a cost. Just like Netflix. Hulu’s entry-level plan costs $7.99, which is the same as Netflix, and makes it one of the best alternatives to Netflix. Hulu often offers deals that bring the cheapest plan down to $5.99 per month for one year. With the discount, that makes Hulu cheaper than Netflix. Given Hulu’s large content library, that’s a steal. You won’t get to watch every show on every channel and you won’t get every episode of all your favorite shows. For that, you’d need Hulu with Live TV, which runs $40 per month. Netflix Basic – $7.99 per month. Includes access to entire content library in standard definition. Netflix Standard – $10.99 per month. Includes access to entire content library in HD. Stream content on two devices at once. Netflix Premium – $13.99 per month. Includes entire content library access. You also get Ultra HD streaming and the ability to stream on up to four devices at once. 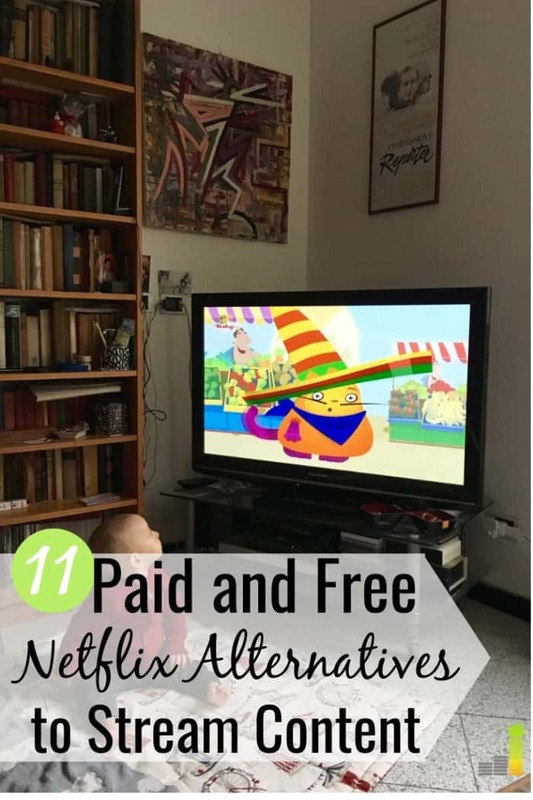 The post 11 Best Netflix Alternatives to Start Streaming Content appeared first on Frugal Rules.